BMW is giving its 4 Series a mild refresh for all versions of the family, including the flagship M4. After numerous spy shots, the revised 4 Series lineup has finally arrived and thankfully the whole family is here: Coupe, Convertible, Gran Coupe, and the mighty M4. BMW is playing a game of spot the differences with the mid-cycle refresh for its “4” models, but that’s not necessarily a bad thing since the pre-facelift model still looks very sharp and it wasn’t actually in dire need of a major facelift. Starting with the front fascia, a pair of new full-LED headlights has been installed to replace the old xenon units, and all members across the range have standard LED fog lights. BMW has also fiddled with the graphics of the LED taillights to give the rear end an “extra impact.” Some subtle revisions to the air intakes, rear apron and also to the line-specific trim have been implemented as well, but you’ll have to be a diehard BMW fan to spot them right away. To spice things up, the Life Cycle Impulse for the entire 4 Series adds Sunset Orange and Snapper Rocks Blue body paints, along with a fresh alloy wheel design for each equipment line: Advantage, Sport Line, Luxury, and M Sport. 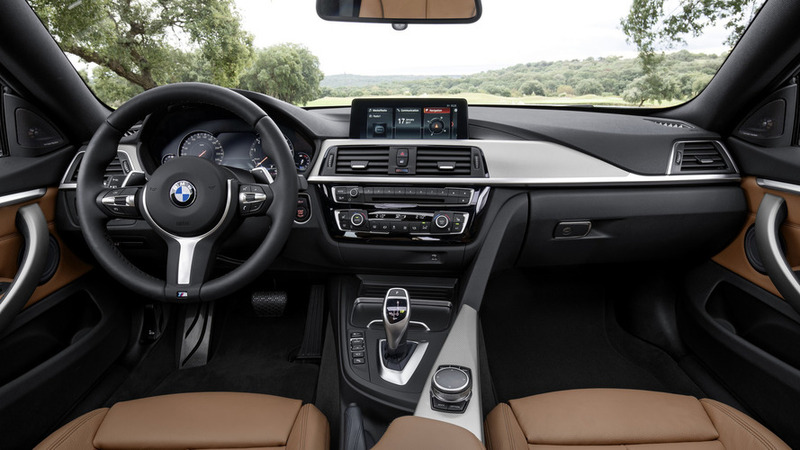 Once you virtually hop inside the cabin, the facelifted 4 Series will greet you with more chrome accents and a high-gloss black finish on the center console. The instrument panel now benefits from double stitching to make the interior feel more upmarket, while three new trim strips and a trio of upholsteries have been added as well. BMW’s LCI for the 4 Series welcomes an optional Navigation system Professional featuring an updated interface with big tile-style control pads making it easier to use. You can actually fiddle with the control pads and arrange them to your liking. 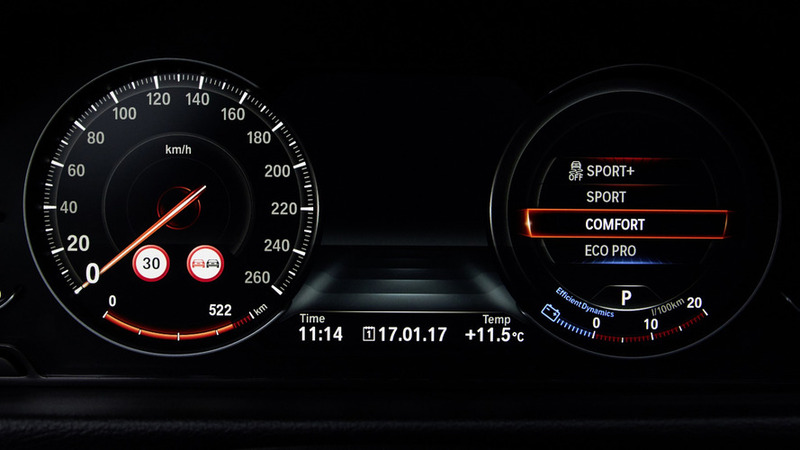 At an additional cost, BMW will be more than happy to throw in a customizable instrument cluster providing multiple visualization options. 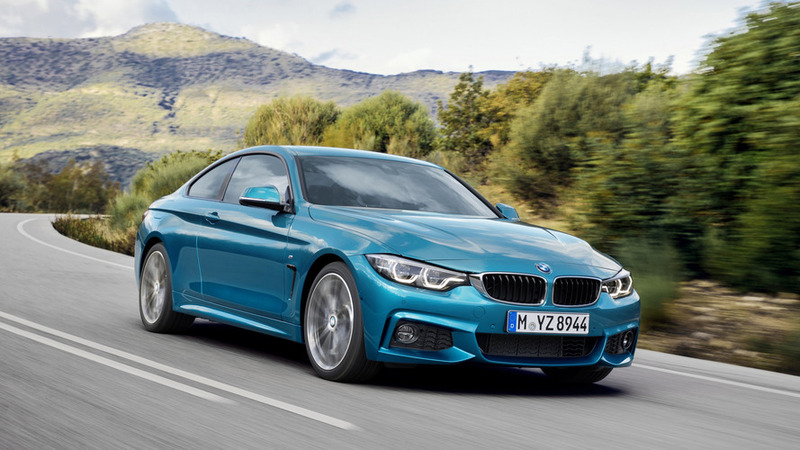 There are more changes than meets the eye as the 4 Series Coupe and the 4 Series Gran Coupe feature a stiffer suspension setup aiming to improve handling without hampering comfort. BMW’s engineers have made these tweaks not just to the standard configuration, but also to the M Sport and Adaptive suspensions. From the 430i/430d upwards, buyers will be able to order high-performance tires as a factory-fitted option. In total, there are no less than 31 model and powertrain variants, with output of the gasoline units varying between 184 hp (135 kW) in the 420i to 326 hp (240 kW) in the 440i. 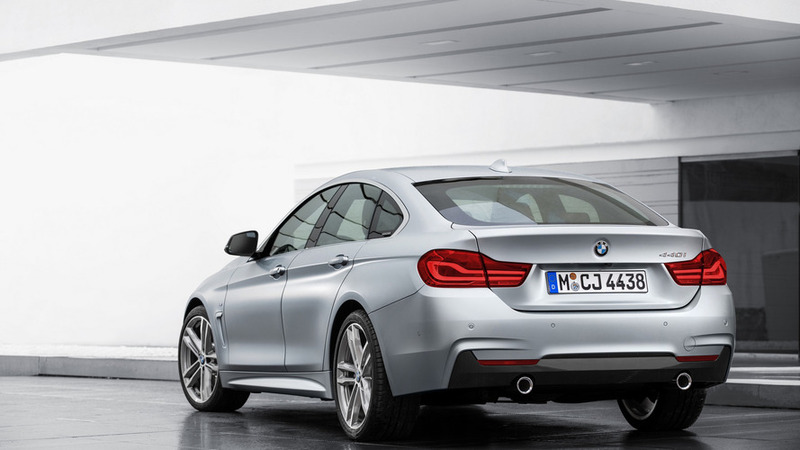 On the diesel side, the 420d has 190 hp (140 kW) on tap whereas the 435d xDrive provides 313 hp (230 kW). 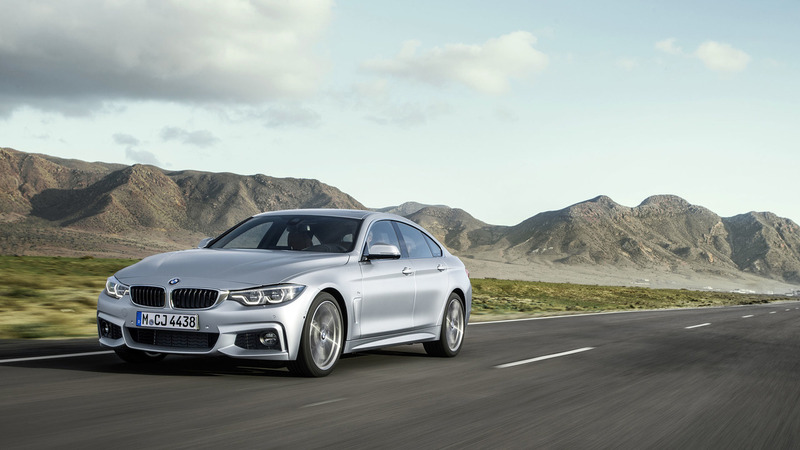 You will be able to buy the 4 Series Gran Coupe in a lesser 418d specification with 150 hp (110 kW). BMW’s grippy xDrive setup can be had on 12 model versions and it’s actually standard on the 435d model available in all three body styles. 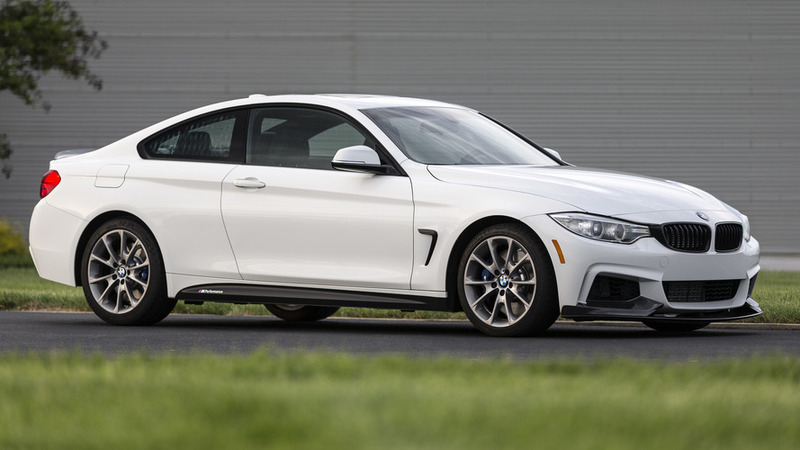 At the top of the range, the M4 Coupe and M4 Convertible have received just about the same styling revisions and now come with standard full-LED headlights and taillights. The dynamic duo soldiers on with 425 hp in the standard guise and with 444 hp if you go for the optional Competition Package. 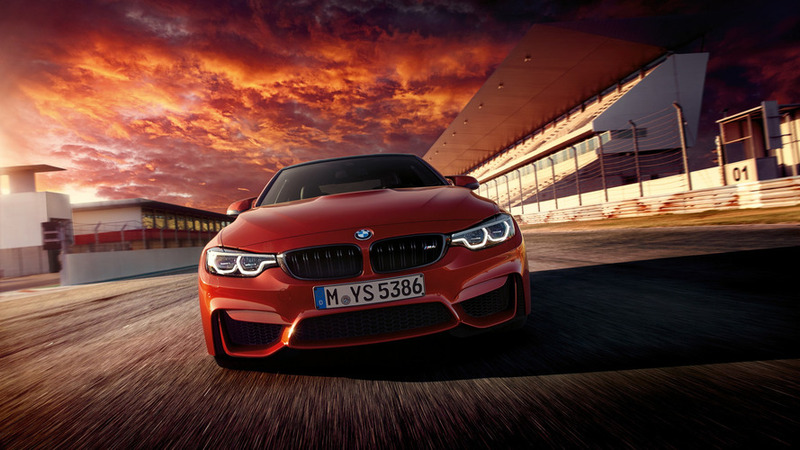 Should you want more oomph, BMW is expected to take the wraps off a hotter M4 CS in the months to come.